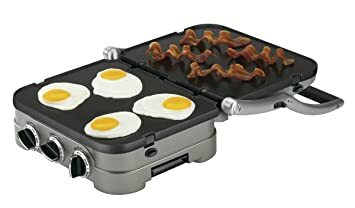 As the panini sandwiches at Panera Bread are tasty but quite costly, this is a perfect appliance you could buy to make them at home. It is the best 40 dollars you could spend. 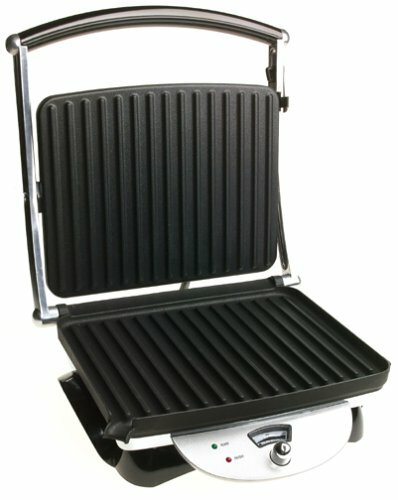 You can not only use it for sandwiches but you can also use it to grill meat and squid! Clean up is easy with the non-stick surface. 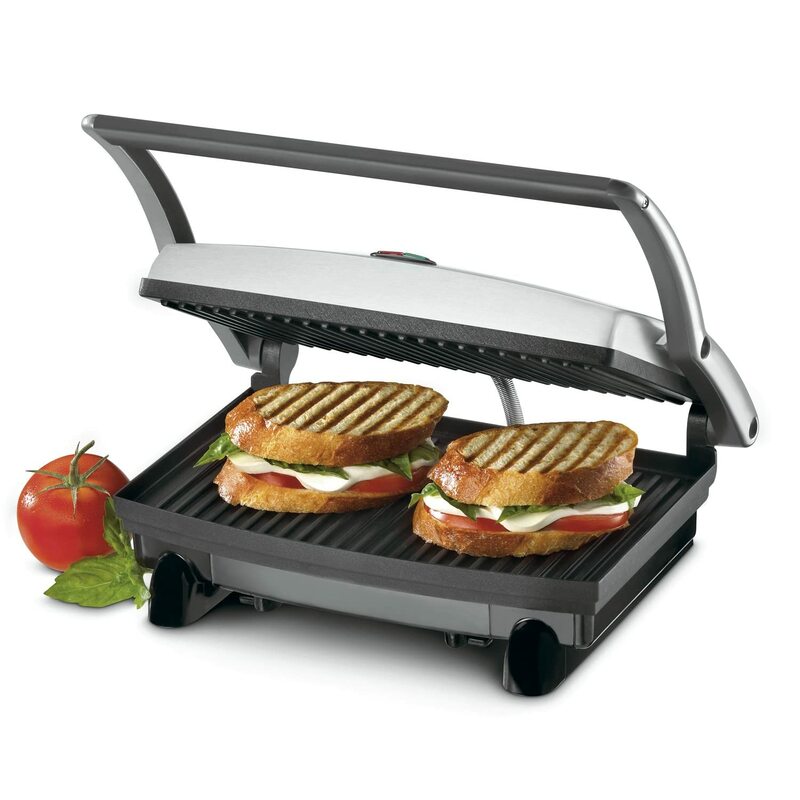 Designed to accommodate everything from single-slice ham sandwiches to piled-high grinders, this Panini Press heats ingredients, melts cheese, and creates a crispy outer crust. Just load up two slices of bread with your favorite meat, cheese and veggies and press! 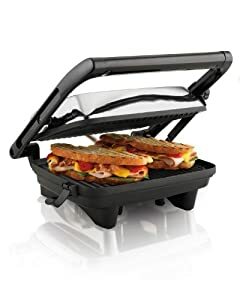 Amazon now they have dropped the price on this highly rated George Foreman Non-Stick 2 Serving Classic-Plate Grill and Panini Press to just $11.65 (regularly $28). 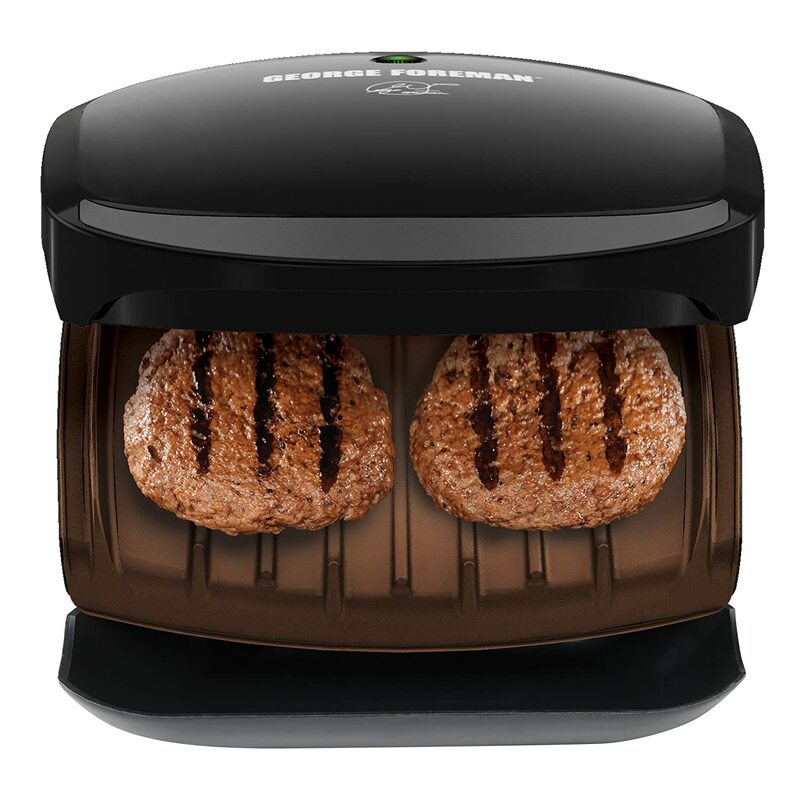 This grill is perfect for making everything from burgers to pannini, has a nonstick coating for easy cleaning and has a dishwasher-safe drip tray to collect excess fat and grease! 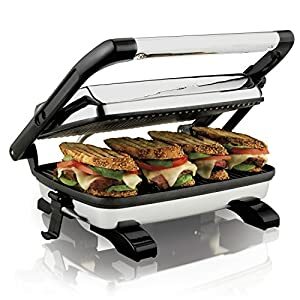 Amazon now get this very highly rated Cuisinart 5-in-1 Griddler for just $44.99 shipped – lowest price! The Cuisinart 5-in-1 Griddler sits right on your counter top and features stainless-steel housing and a floating cover to adjust to the thickness of whatever you’re cooking. 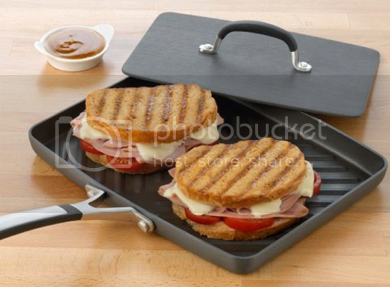 Use it as a grill, panini press, griddle and more! It also includes removable and reversible nonstick cooking plates and a drip tray so you can drain the grease away from your food!